It’s important to bear in mind that these admonitions are all from the OLD COVENANT. NOWHERE do you find these kinds of verses in the New Covenant. Why? Because Jesus is the Guarantor of new deal. We have a better covenant based on better blood and better promises! God, in His overwhelming love and mercy toward us, sent His Beloved Son. He took our place on that cross. He took ALL the punishment, wrath and righteous indignation of a thrice-holy God that you and I deserved. In exchange, He gave us HIS RIGHTEOUSNESS when we accepted his incomparable gift. 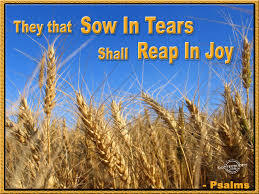 Now, what we sow, Jesus reaped–PAST TENSE…and what He sowed, HALLELUJAH…..we reap. And He reaps GOOD THINGS. That’s the scandal of Grace! For those outside of Christ, those Old Teatament “promises,” more like threats for lack of a better word, are still in effect. 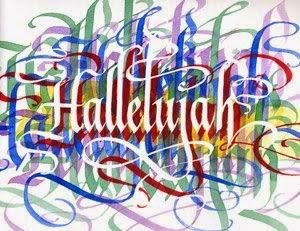 ONLY IN CHRIST IS THERE PROTECTION from hurricanes, tsunamis, calamities; protection of every kind as enumerated in Psalm 91. 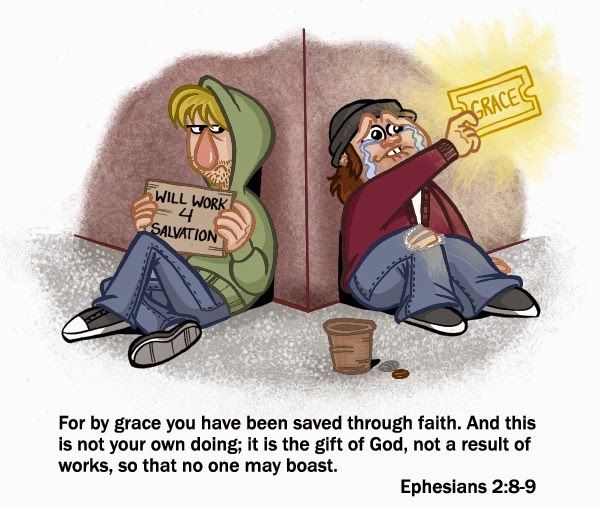 So what can hinder grace for the believer. Only one thing. NO, it isn’t sin. If that were true, Jesus would never have come in the first place! SIN CANNOT STOP GOD’S GRACE. Sin is not, never was, and never will be, a threat to Him. If that were true, than sin is greater than God’s grace. AS IF!! The only thing that can stop grace is SELF-RIGHTEOUSNESS; reliance on your own works, your own efforts, will power, and self-discipline. It does, it did, and it always will. The Pharisees of Jesus’ day are a prime example. They stood in His presence, saw Him work miracles up close and personal and heard his words of wisdom, yet they denied and rejected Him. They could receive NOTHING from Him. Likewise, those today who rely on self-righteous works CANNOT RECEIVE ANYTHING FROM GOD, the One Who loves them. How Do You Fall From Grace? God desperately desires to bless all of us with every blessing, but self-righteousness is standing in His way. The breakthrough some so desperately desire continually eludes them because they think there is a need for them to “DO” something. You know, “No breakthrough without follow through.” They cannot receive anything from God because they are too busy falling from grace. The devil says, “Don’t just sit there, do something!” God says, “Don’t just DO something, SIT THERE.” You work; He rests. You rest, HE WORKS. So, Church, look to Jesus and away from yourself. It is the only way to experience the New Testament principle of Sowing and Reaping.